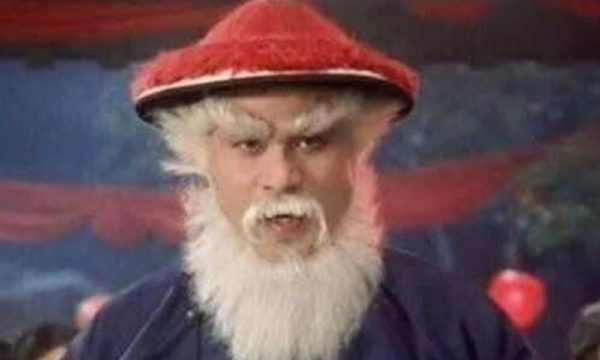 On Christmas day, Sina Weibo released a new emoticon in the image of a character named Lei Bao (雷豹, literally ‘thunder leopard’) from the 1990s comedy movie Hail the Judge (九品芝麻官), for his costumes, beard, and impressive eyebrows, that bear some resemblance to Santa Claus. 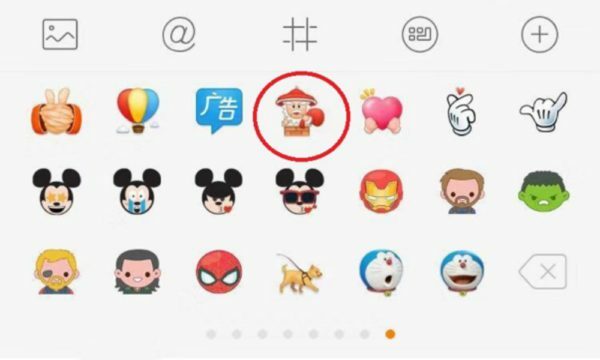 According to an online announcement issued on the official account of the Sina Weibo content center, the social media website first received permission from the emoticon’s creator and from Xu Jinjiang to launch the image, and then posted a message to look for the copyright owner of the movie. 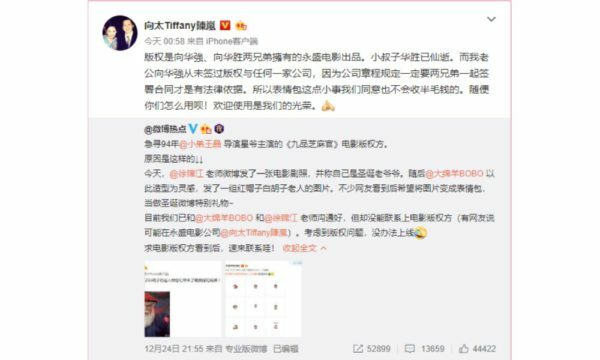 Later, Tiffany Chen (@向太Tiffany陳嵐), wife of Win’s Entertainment founder Charles Heung Wah-Keung (向华强), the copyright holder of the movie, replied on Weibo and gave permission to launch the emoticon online. 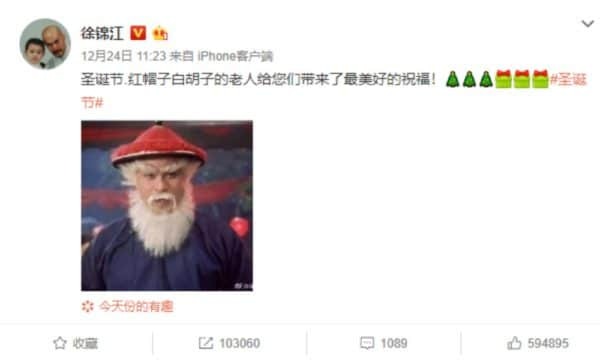 Within less than 24 hours, Weibo managed to solve the copyright issue and to release the emoticon online – just in time for Christmas. 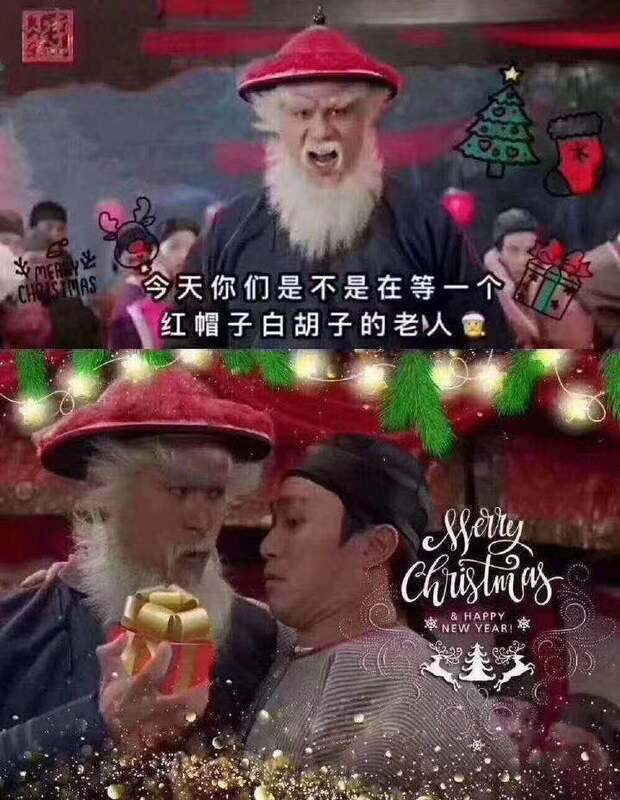 In response to the ‘Chinese Santa’ emoticon, two hashtags became popular on Weibo: “Weibo Santa Claus Emoticon” (#微博圣诞老人表情#) and “Christmas Emoticon of Xu Jinjiang” (#圣诞徐锦江表情包#), attracting some 370 million views in total on Weibo at time of writing. 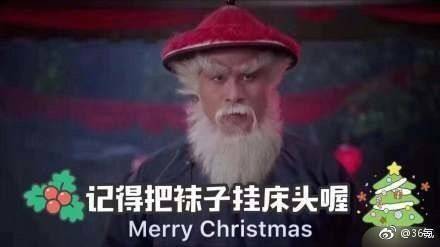 Thousands of netizens have started to use the new emoticon and joke around with it, with many expressing some Christmas joy over this new ‘Chinese Santa,’ that will undoubtedly make a comeback next year again.